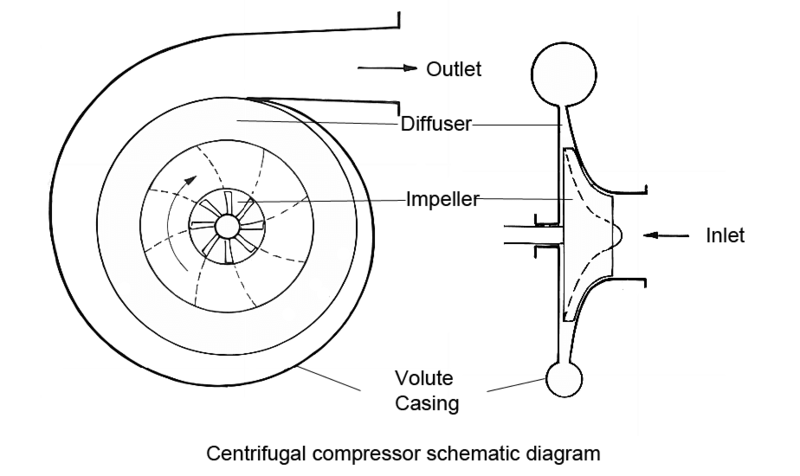 Centrifugal compressor working on Bernoulli’s fluid dynamic principle. Bernoulli’s principle derived from conservation of energy. In a centrifugal compressor, an additional kinetic energy imparted to the fluid by rotating impeller. Then this kinetic energy gets converted into pressure energy at diffuser. 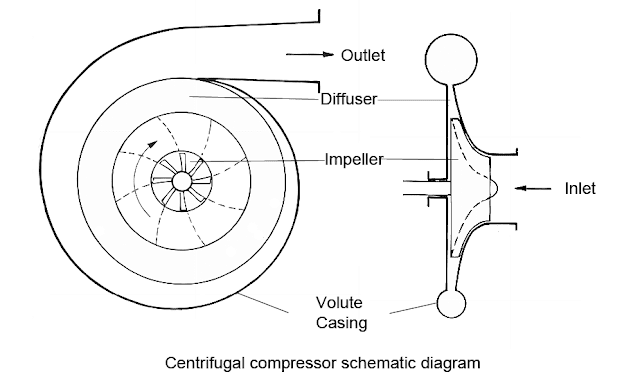 In a centrifugal compressor, the impeller is connected to a shaft driven by any mechanism. The rotating impeller draws air through the inlet at the center of the impeller and guides the air towards the periphery. During this movement, impeller increases the kinetic energy of air. At the periphery, the air is guided through a stationary passage known as diffuser where its velocity kinetic energy decreases. According to Bernoulli's law reduction in a velocity cause increase in pressure of the fluid, that is kinetic energy is converted into pressure energy.